It’s been an exciting whirlwind of activity since we started out, but we feel the best is yet to come. Please join us as the ride continues. Over the years, as an advocate of sustainable architecture, Green Building + Architecture magazine has featured a veritable who’s who of renowned architectural firms from Canada and around the world, including Frank Gehry, Vince Callebaut Architectures, James Law Cybertecture, MAD, Gentler, Heatherwick Studio, WZMH Architects, Stefano Boeri Architetti, superkul Inc, Foster + Partners, BIG, ZAS Architects, William Dewson Architects, Kongats Architects, KPMB, Sustainable TO, Williamson Williamson, Humphreys & Partners Architects, just to name a few. 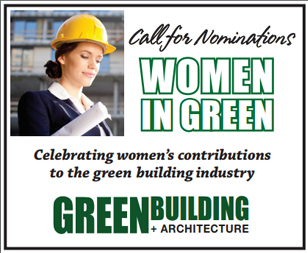 To recap, we would like to stress that Green Building + Architecture is committed to showcasing the groundbreakers, with the newest, most innovative sustainable projects from around the world. I’d like to take this opportunity congratulate all featured builders and architects and say a big THANK YOU to our advertisers who make this magazine possible, contributors, dedicated readers, and my team – which does an outstanding job each and every issue.